It may still feel like winter, but according to Punxsutawney Phil spring is just around the corner, and we all know what that means—it’s time for a good spring cleaning. And while it’s incredibly satisfying to have an organized home that’s free of clutter, dust, dirt, and mess, it doesn’t make the laborious deep clean any less tedious. If you’re like us, you probably get tired of going through the same process year after year only to have everything end up messy and disorganized a few months later. Do you ever wish you could get organized once and for all? 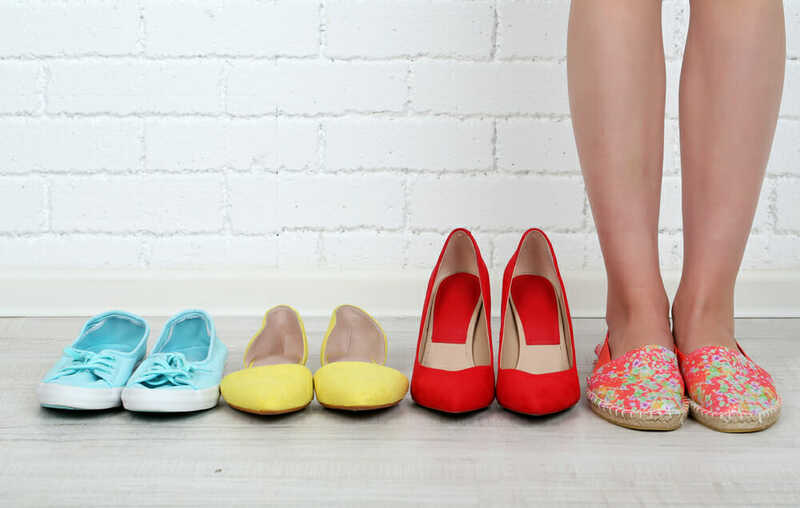 Marie Kondo, Japanese author of the international best-selling book The Life-Changing Magic of Tidying Up, has developed a method for de-cluttering and organization that claims to provide a permanent solution to clutter. What’s so life-changing about the “Kon Mari” method? Here’s the CliffsNotes version. According to Kondo, “tidying” should be a simple, two-step process. You don’t need elaborate charts and lists of daily goals. You only need to do two things. First, go through all of your belongings and decide what you will keep and what you will throw out or give away. Next, find a specific place in your home for each item you are keeping. There are only two steps, but it’s important to do them in the right order. 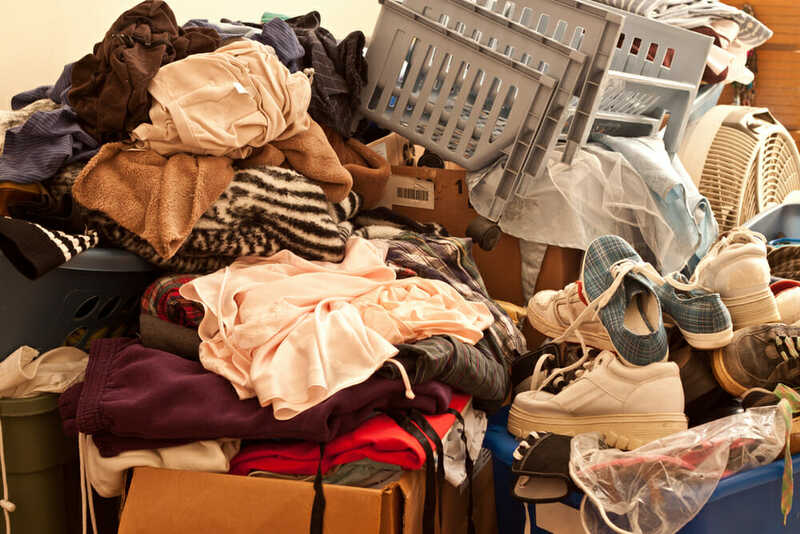 Discard first, then organize, once you are completely finished sorting through your belongings in a particular category. In contrast to the traditional methods of de-cluttering that encourage going room by room, the Kon Mari method works by category. 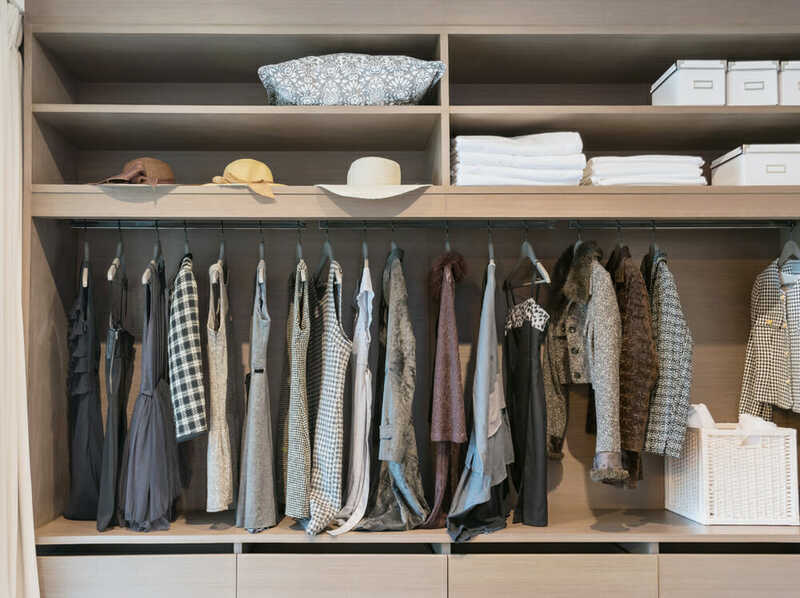 As you tackle each category, collect all of the items that fit that category from every room in your house, including closets, coat racks, and storage bins. This will give you an accurate picture of exactly how much you own in each category. Komono or miscellaneous (which includes kitchen and pantry items, tools, office and craft supplies, beauty and personal care items, furniture, décor, etc). Sentimental items (this includes photos, souvenirs, old letters, and mementos). Break things down into subcategories as necessary when a given category is too large (i.e. “men’s clothes,” “women’s clothes,” or even “tops,” “pants,” “outerwear”). This might seem like an odd question, but consider the way you feel when your home is messy and cluttered. Being surrounded by an excessive number of things that you don’t truly love adds unnecessary stress—more things to clean, organize, put away, or maintain. And yes, there are some exceptions—of course you also need to keep things that are necessary and useful. For example, you probably don’t feel joy when you see your vacuum cleaner, but it is necessary and useful, since it helps you maintain a clean house, thereby making you feel happier and more at peace. Rather than making an arbitrary rule about the number of things you are allowed to keep or discard, simply keep the things you really love or truly need and get rid of everything else. Don’t feel burdened to keep anything because it was expensive, or because it was a gift, or because you haven’t used it enough yet. If it doesn’t spark a sense of joy, then keeping it in your home is just adding to the unnecessary clutter. After you’ve gone through your belongings and discarded the things that aren’t bringing you joy or enhancing your home, it’s time to start organizing. Contrary to what you might think, complicated storage systems actually encourage clutter rather than solve the problem because they give you so many places to tuck things away out of sight. Often the reason we leave things out of place is because it feels like too much work to pull out the back inside of the bin inside of the under-the-bed storage drawer. Instead, use simple shelves and drawers so that taking things out and putting them back again is easy and simple. Drawers are one of the best methods of storage because you can keep things neatly organized and out of sight and because they take up relatively little space. In particular, Kondo recommends folding as many things as possible since folded items take up less space than hanging ones. There is a bit of a myth that says folding your clothing will increase wrinkles, but folding is not the culprit. Wrinkles come not from folding itself, but from the weight of clothes stacked on top of one another, pressing wrinkles into the clothes beneath them. Thankfully, there is a simple solution to this, and one that affords more drawer space as well. 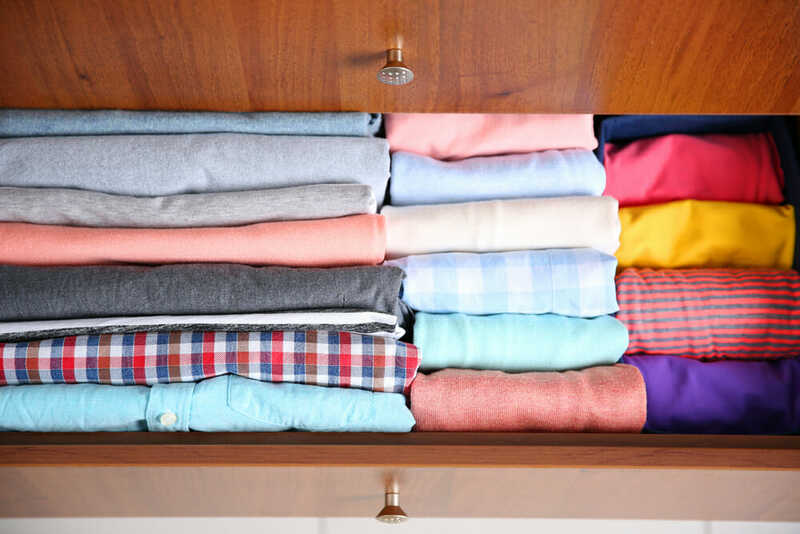 Instead of stacking clothes in vertical piles, which causes weight on the bottom-most pieces, fold clothing into rectangular shapes (or roll), and stack them on end. This will enable you to fit more clothes in your drawers and allow you to see every item in the drawer without rifling through the stacks. Maybe you’re reading this and thinking, “It would be great if I could make that work, but I’m sure things will just get messy again.” But Kondo insists that not a single one of the students she has walked through this process has returned to their old ways. Maybe it’s time to try something new, not simply by decluttering temporarily, but by changing our habits and relationships with the objects we bring into our homes. Instead of buying something simply because it matches or is on sale or seems practical, we should live by Marie Kondo’s wisdom of only acquiring objects that spark joy and meaning. 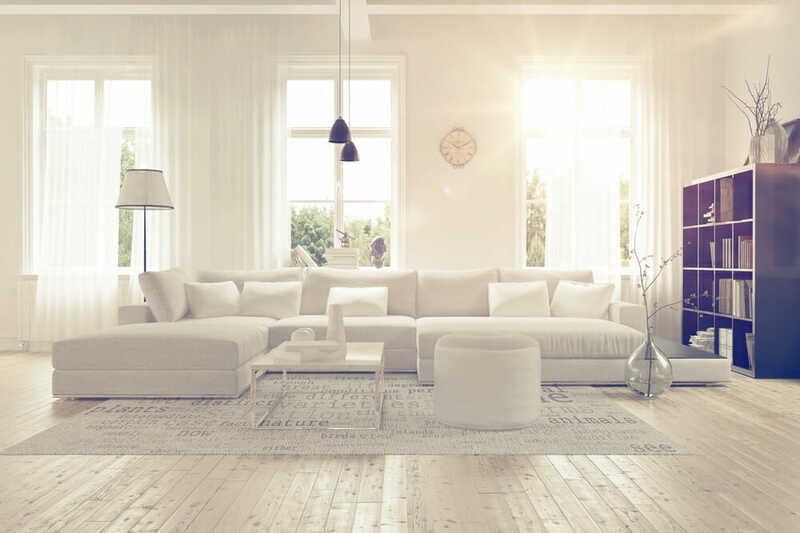 As she says, “The space in which we live should be for the person we are becoming now, not the person we were in the past.” We hope you feel inspired to make your home a haven for the person you want to be.